If you haven’t noticed all ready, citrus is BOOMING! I found these gorgeous clementines at whole foods this week and I knew i’d have to do something spectacular with them. I’ve recently started loving fresh herbs incorporated to sweet flavors. Rosemary lemon cupcakes are amongst my next to try! To incorporate these herbs I made a simple syrup out of them. Simple syrup is actually simple. Equal parts sugar + water and boiled down. You can toss any of your favorite herbs in while the mixture is still warm and the syrup will incorporate this great herbal flavor. How good would fresh chamomile tea with mint simple syrup be?! Yum! I’m a vodka girl by nature, aaaand by my genes. I get it from my Dad just like I get a thousand of my other traits. When I’m at a bar my for sure go to is any well drink with vodka. It’s easy on the calories and it mixes well with a plethora of juices and sodas! Plus, citrus goes great with clear spirits. If I haven’t told you already.. it’s friday and in my book friday needs a cocktail. 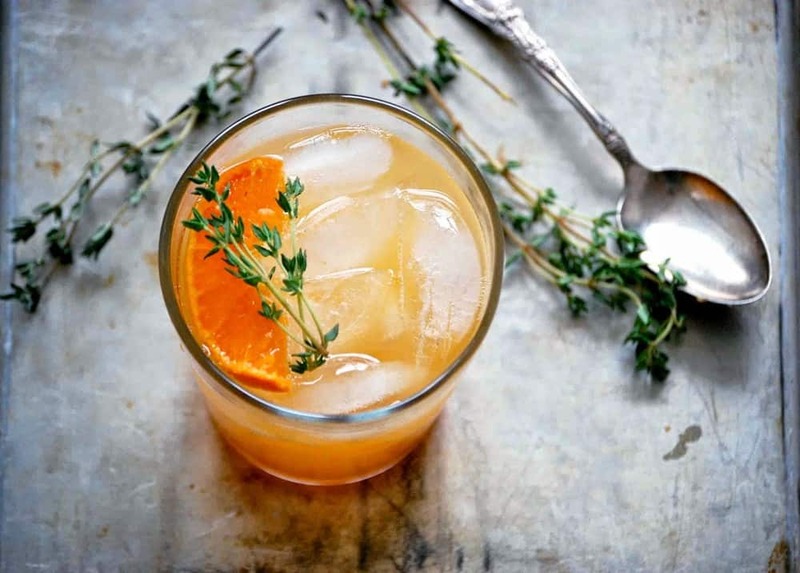 Kick your feet up and get this cocktail in hand! You deserve it. In a small pot heat sugar and water on medium low until clear and melted. Place your bunch of thyme in warm mixture and allow the simple syrup to absorb the thyme for 15-20 minutes until fragrant. Strain the syrup of the thyme. Squeeze clementines with a citrus reamer for 1/2 cup of juice (about three clementines). In a cocktail shaker mix juice, vodka, and simple syrup. 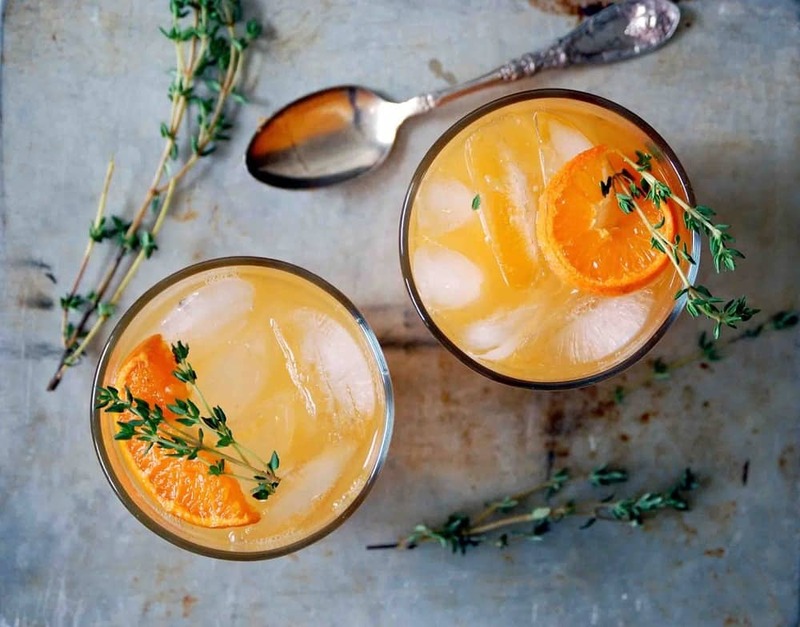 Pour over ice and garnish with thyme sprigs and clementine slices.